View from the kitchen - Tropical! 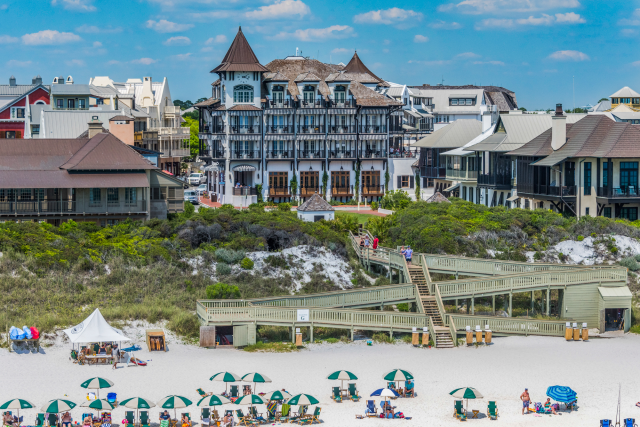 Covered Port Cochere at GRAND Sandestin! 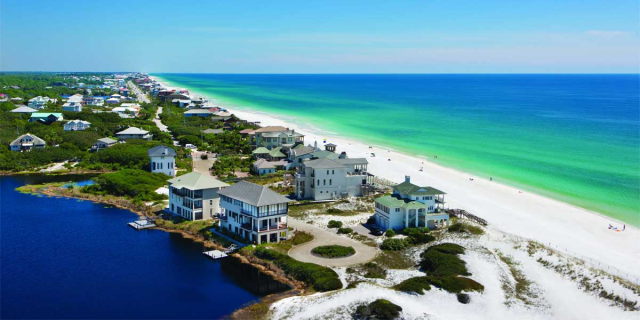 Walk to the Village of Baytowne Wharf - ziplining, shopping, art-walks & live music! 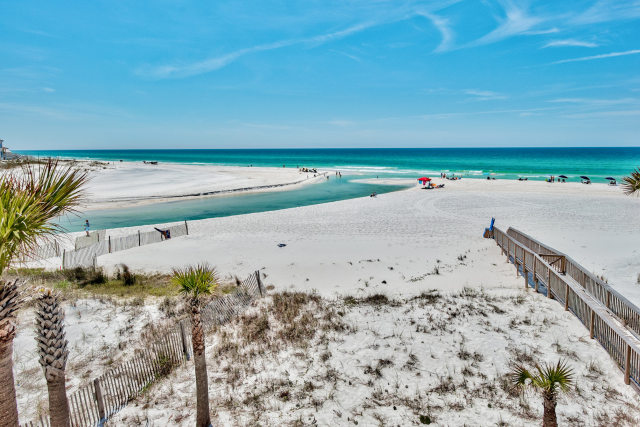 Located in the gorgeous Grand Sandestin Golf and Beach Resort, this gorgeous 1 bedroom condo can sleep up to 4 guests comfortably. With a king in the master, a sleeper sofa in the living room and two full baths, this home is sure to give you all the space you need. 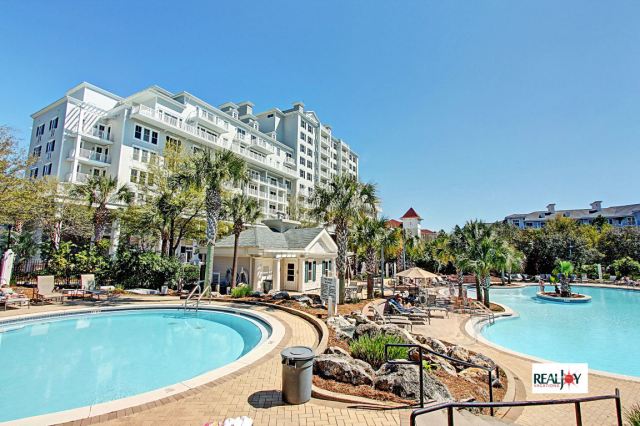 This lovely unit features a full kitchen, tile-counter tops, two TV’s, a dual vanity in the master bath, and a balcony overlooking the lush Grand Sandestin’s grounds. 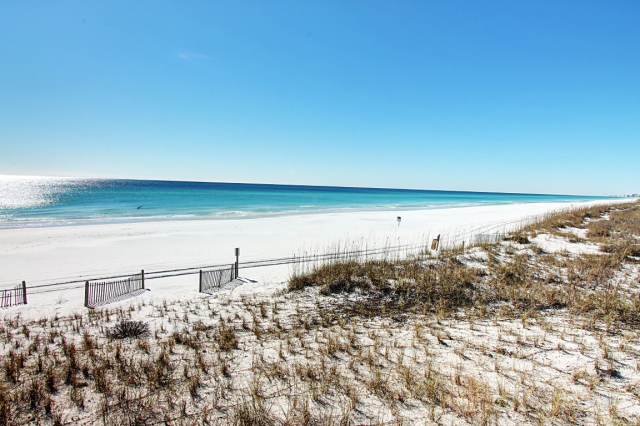 Check out why Grand Sandestin 2208 is a family favorite! Find an amazing array of things to do at Baytowne Wharf. Plenty to keep the kids happy and burn off some energy at the Adventure Land Playground, test your courage at the Gulf Coasts only zipline or ropes course at Baytowne Adventure Zone. Go back in time at the Carousel, or head to the future at the Blast Arcade and Laser Maze or the Boondocks Arcade. Want to get your shop on?? You will find a varied selection of shops right here in the Village, from a surf shop to funky clothing, shoes and accessories and everything in between, a wine shop, toy store, general store, even an old-fashioned candy shop. There's the annual Duck Regatta in October, with plenty of fun for the kids, like face painting and a scavenger hunt, or the October Beerfest, with over 200 brews to sample and live music. During the holidays, there's a wine and food event, with samples from restaurants in the Vlllage and a tree lighting, as well as a Santa Claus weekend with free events including a holiday movie. 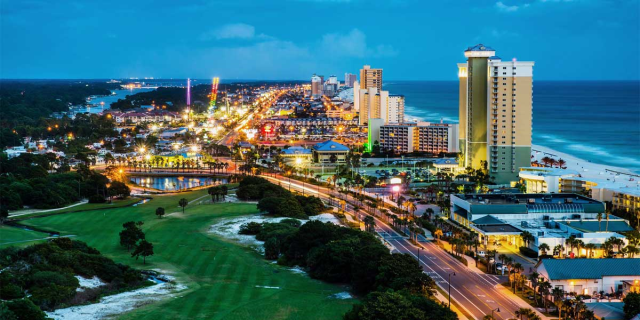 Summers are filled with special events, everything from Wednesday night concerts to fireworks over the bay. Be sure to check out the Village of Baytowne Wharf -- a beautiful 28 acre waterfront town center with a collection of unique shops, charming eateries, lively nightclubs and year-round special events.Find an amazing array of things to do at Baytowne Wharf. Plenty to keep the kids happy – burn off some energy at the Adventure land Playground, test your courage at the Gulf Coast’s only zipline or ropes course at Baytowne Adventure Zone. Go back in time at the Carousel, or head to the future at the Blast Arcade & laser Maze or the Boondocks Arcade. Want to get your shop on?? You’ll find a varied selection of shops right here in the Village, from a surf shop to funky clothing, shoes and accessories and everything in between, a wine shop, toy store, general store, even an old-fashioned candy shop. 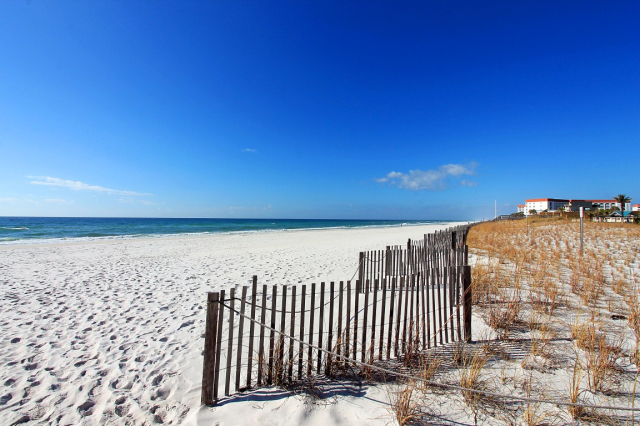 A gorgeous building offering vacation rentals in a prime location within the Sandestin Golf and Beach Resort in Miramar Beach -- just steps away from restaurants, shops, activities, and of course, the Village of Baytowne Wharf - the premier new destination in the Destin area. 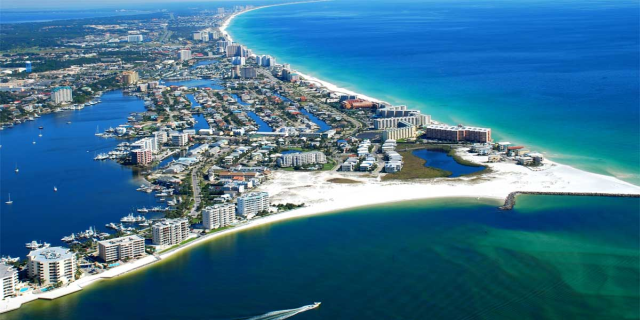 You'll love all the great activities happening in this gorgeous resort set on 2400 beautiful acres on the Choctowatchee Bay. You'll find events such as free live concerts on the plaza, art walks with live music, wine events, fireworks and various special evening happenings, all set in the picturesque Village of Baytowne Wharf.